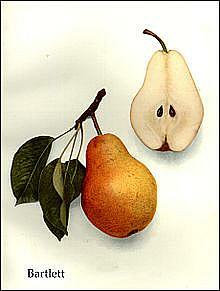 The fruit of pear trees are attractive to birds, squirrels. The standard grows to 20', and dwarf grows to 12' - 15' in height. Standard spread grows to 20', semi-dwarf grows to 12'-15', and dwarf grows to a 10' spread. 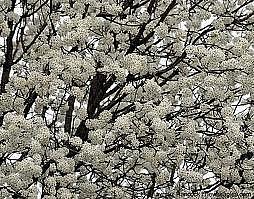 The Bartlett pear prefers moist, well drained soil. It does best when provided with adequate water, but will tolerate both drought and floods. This pear's simple, glossy green leaves alternate on the twig. They grow up to 3" long, are thick with slight midrib curves folding the edges inwards. They have fine teeth on the margin.